Ironclad Games and Stardock are pleased to announce the release of version 1.90 for Sins of a Solar Empire: Rebellion today. We've made a number of improvements and changes with this update for both players and modders. Large Address Aware (LAA) is now enabled by default. Warning: if you are using a mod that requires you to apply LAA manually you should no longer do this. Doing so will cause multiplayer desyncs and crashes. Added user interface scaling for 4K and other large resolutions. Increased the max texture and particle simulation type counts for mods. This will improve performance and memory usage as mods that exceeded the limit were engaging dynamic memory allocation which is slow and fragments memory. Added an adaptive texture memory use system to help constrain large mods from running out of memory (which could occur even with LAA enabled). Fixed FPS stuttering in big battles with certain hardware combinations. Warning: if you previously tried to solve this by converting ogg files to wavs you will need to revert back to ogg files. Fixed bug where exiting a mod that setup starbases as tradeports as part of the galaxy creation process would crash the game on exit. Fixed various crashes when enabling/disabling mods in-game. You should no longer need to edit the mod text file to enable/disable mods. Fixed potential crash if a mod was disabled from the options screen but assets from the mod were requested after being disabled. Fixed modding crash that is caused by defining a roleType (e.g. StarbaseConstructor, Colonizer) but not providing the expected ability. While the crash is prevented the abilities should match the roleType or the Ai will not work correctly. Fixed potential crash in a mod where no random capitalShip or starBase names were defined. Fixed crash that would occur in mods that used SpawnRacialBuffAtLocation() where the number of races exceeded the number of defined buffs. Modders can now use negative trade values. Fixed slowdowns caused by Steam DLC queries. Added a new "Extreme" texture setting that takes advantage of newly available memory and optimizations for improved texture rendering and related graphical effects. The old "Highest" texture setting has been renamed to "Higher" to imply there is a new setting beyond it. The new default texture settings are all "Higher" instead of a mix of "High" and "Medium". Renormalized the texture settings to support a wider variety of hardware. For example: "Low" is reduced in fidelity and "Higher" is increased in fidelity. Added a new "Extreme" shadow setting. Fixed various mesh issues with the Advent Rebel Titan. Thanks ZombiesRus5. Fixed texture reference issues with Varari's Orbital Cannon surface impact, Vasari Envoy's Mutual Threat, the blue star's flare and the green star's flare. Thanks ZombiesRus5. Reduced particle sizes of Gamma Ray Burst random event. Reduced particle size of Pulsar beams. Fixed bug where militia ships were showing up in the supply cost tool tip. Fixed bug where militia ships were being grouped with non-militia ships in the empire window. Fixed bug where you could utilize the starbase max count bonus of a planet you didn't own. Starbases phase-spacing now correctly account for the max starbase count at the target planet. Truce Amongst Rogues no longer has any research prerequisites. Fixed bug where starbase upgrades with values at level zero were not being applied properly (a common problem with mods that placed starbases during the galaxy creation process). Minor improvements to AI selection of unit counters. Fixed bug where AI could stall on launching an attack. Fixed bug where AI could stall on colonizing a planet. Fixed bug where AI could build endless Scouts, Anti-Mine or Anti-Structure units. Fixed bug with MadVasari incorrectly using militia ships. Fixed "ANTIMODULE" attack type from behaving like "CanOnlyTargetModules". Fixed bug where units that had missing weapon points (and thus had default ones created for them) wouldn't fire from those weapons after loading from a save game. Fixed weapon and bombing data on the Advent Loyalist Titan, both Advent corvettes, the Vasari Rebel Titan, and the Vasari Nanites. Thanks ZombiesRus5. Alt-Enter is now the default full screen toggle key combo. Changed to avoid conflict with Steam's overlay key combo. This update is in memory of Ed Sarabia, whose wonderful art shines in the Sins universe. Wow, beautiful work! Thank you guys so, so much ... legends!! You guys are amazing, thank you for this. 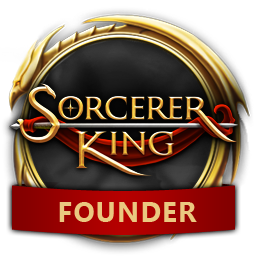 Thank you Ironclad, Stardock, and especially Yarlen and Blair Fraiser for your continued support to this beloved game. Thank you so much for all the modding support in this release. I know that mods like 7 Deadly Sins, Sacrifice of Angels, Sins of the Prophets, Sins Imperium and Distant Stars will really benefit from this. Some of those bugs your fixed us modders have been dealing with for years trying to overcome, so a BIG thank you for that. Increasing those hardlimits and allowing 4gb of ram will finally allow our modding dreams to come true and allow the full scope of our vision and art become reality. As always my team and I will be there to support you in every way we can. A special thank you to ZombieRus5, whose continued genius on my team and others have helped not only the modding scene grow and continue to breathe life into this aging game, but actually improve the actual engine. Thank you also goes out to Wintercross, who's suggestions on features have also shaped what we now have today. Thank you to all who have helped make this release possible. DANMAN - Danman Games, 7 Deadly Sins team. This is truly incredible news; my friends and I still play Sins as one of our favorite games, and we keep coming back to it to try different mods and patches. I've been in the Stardock and SOASE communities for a long time (since GalCiv 1 for SD, and since SOASE release), and I was the creator of a popular thread here with funny Sins memes like "All bounty has been depleted" with a pic of an empty paper towel roll I also published a ~50k views video of Rebellion Beta gameplay and had some contact with the company as a result. I love this community and can't express enough my gratitude for the continued support of modders, making the engine better, fixing bugs, and making the game more polished over the years. This is exactly what other dev shops need to do with their games, instead of abandoning them. The only thing you could've done to possibly surpass this would be a 64-bit build, but due to the technical difficulty of that, I'm not expecting that to happen for Sins 1. For Sins 2, I expect it to be 64-bit only. But take your time designing Sins 2, and make sure that Sins 2 has the same gameplay feel as Sins 1 and doesn't turn into an APM clicker like Starcraft or AotS. Thanks guys, you all rock. Can't wait to try mods once they are updated to work with 1.9! You're Welcome! Keep being dedicated to us, and we will likewise return the favor! Sorry about the mixup, I was thinking about you and Brad Wardall at the same time! So good to hear from you! I can't believe that this amazing game still continues tho thrive today. While we all are hoping for a Sins 2, we can't help but to thank you to continue and update this amazing game. Congrats on a fine effort, and for this amazing release! Thanks, been waiting for a long time ! Wow. Thank you so much for continuing to support this amazing game. Thanks to everyone who had a hand in this - Stardock, Ironclad, and everyone here on these forums that still have so much passion for this game. It's pretty much unheard of for video game companies to put this much longevity into their games, and I hope you guys know that your work is very appreciated. So we at Sins of the Prophets have run into an issue with one of the vanilla bugs. The one where ships will occasionally fly out of the gravity well far off into the distance rather than use the phase lanes and jump between planets. This seems to be exacerbated by long phase lanes which caused this to be a pretty common issue with 0.85.1 of our last release. I'm curious if you know more about what can cause this issue so we can work to mitigate its affects in our project. Thank you. Please contact support so we can get more information. Where Large Address Aware ? LAA is part of the v1.90 update.